With support from CBRS Alliance member companies, CTIA, and global test labs, the CBRS Alliance has developed the OnGo Certification Program to ensure seamless integration and deployment of OnGo wireless solutions, and to support widespread market adoption of OnGo technologies. By establishing a set of a standards for performance and interoperability, we’re defining the level of quality we expect from those who plan to sell and deploy OnGo equipment. OnGo Certified is a recognized seal of approval for OnGo products, indicating that they have met a high set of industry standards for interoperability and security. Equipment manufacturers should pursue certification to ensure interoperability in OnGo wireless networks, and to foster a sense of trust with prospective end users and IT decision makers. OnGo Certified products have undergone rigorous testing by one of our independent Authorized Test Laboratories. When a product successfully passes testing, the manufacturer or vendor is granted the right to use the OnGo Certified logo. Certification means that a product has been tested in numerous configurations with a diverse sampling of products to validate interoperability with other OnGo Certified equipment operating in the 3.5 GHz frequency band. OnGo Certification opens a new ecosystem in support of the emerging wireless market made possible by sharing spectrum in the 3.5 GHz band. Those products that successfully complete the FCC Authorization process and receive their FCC ID become eligible to also seek OnGo Certification. Certification helps ensure interoperability among equipment vendors, and allows manufacturers to test for quality before introducing new products into the market, reducing overall support costs. For operators, certification brings interoperability to large-scale deployments, even in multi-vendor deployments, helping to contain costs. For Enterprises deploying Private LTE or Industrial IoT, the OnGo Certified brand indicates they are purchasing a product that will work as advertised when installed. How Do I Certify My Product(s)? The OnGo Certification process is quite simple. In most cases you’ll be working with a trusted test lab that you already use for other products in your portfolio. A company must be a member of the CBRS Alliance to have its products tested for certification and use the OnGo Certified logo and associated trademarks. The CBRS Alliance will add your product to our public list of OnGo Certified products. *The CBRS Alliance has licensed the Wireless Innovation Forum’s Test Specification and Test Code to enable Authorized Test Labs to perform testing to obtain CBSD Authorization from the FCC. Click here for more information. The CBRS Alliance has seen significant interest from reputable test labs around the world in becoming Authorized Test Labs for OnGo Certification, and the organization looks forward to continuing to expand the program to bring hundreds of OnGo-certified devices to market. This expansion will expedite commercialization of the technology while providing equipment vendors, chipset manufacturers and others with several lab options when submitting an OnGo device for testing and certification. 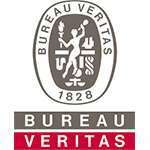 Bureau Veritas Consumer Products Services (Taoyuan Branch, Mobile Communications) is a world leader in conformity assessment and certification services. Founded in 1828, the group has 74,000 employees in more than 1,400 offices and laboratories located in 140 countries. 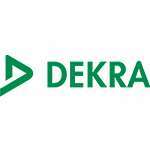 DEKRA has been ensuring safety since it was founded in 1925. This basic need is met by DEKRA’s workforce of more than 39,000 people in over 50 countries on all continent with extensive expertise, wide-ranging servies and passionate commitment. 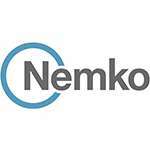 Nemko Montreal, Nemko Ottawa and Nemko San Diego have been trusted by companies around the world since 1933 for asses their products, systems, installations and personnel for conformity and relevant standards and regulation. PCTEST is a premier 3rd party laboratory authorized by major US and international operators in LTE Lab Conformance testing, including MIMO, OTA, Carrier Aggregation, and VoLTE as well as certification testing for CTIA (OTA, Battery, HAC, OnGo/CBRS Alliance, WinnForum), PTCRB, and GCF. 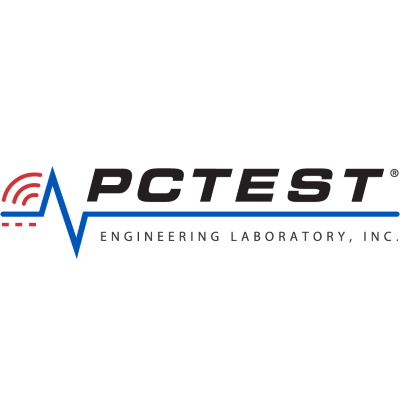 PCTEST is also a leading FCC and ISED compliance facility specializing in comprehensive EMC, RF, SAR, HAC – testing and certifying the first 5G mmW device in the United States. PCTEST is an ISO-17025 accredited lab with test facilities strategically located in Columbia MD, San Jose CA, Korea, and Japan. Sporton International Inc. (Tao Yuan Hsien) is a provider of testing and certification services. 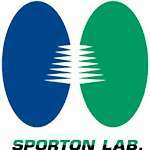 Sporton has become a designated testing lab for regulatory bodies such as BSMI, NCC, and TAF and acquired professional certifications including PTCRB, GCF, and CTIA. No. 52, Hwa Ya 1st Rd., Hwa Ya Technology Park, Kwei-Shan Distrctic, TaoYan City, Taiwan, R.O.C. 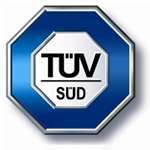 TÜV SÜD is one of the world’s leading technical services organizations represented by about 24,000 employees across more than 1,000 locations. UL was founded in 1894, and our global mission is to work for a safer world. UL fosters safe living and working conditions for people everywhere through the application of science to solve safety, security and sustainability challenges. We are present internationally in 113 Countries with UL customers, 44 Countries with UL employees and has 159 UL Laboratory testing and certification facilities. Everyone at UL shares a passion to make the world a safer place. We test, inspect, audit, certify, validate, verify, advise and train and we support these efforts with software solutions for safety and sustainability.